All my life I’ve been quite a reclusive person. Everything internal and external I have kept more than less to myself. From my personal chaos to my Art. All of it has been kept within me. Through my teenage years I had learned to trust paper, rather than people. I wrote for days. Then I began to read. I lost myself in other peoples non-fictional endeavours, so I didn’t have to focus on my own. Moving in to my adult life, I slowly let go of the paper. Nowadays, with blogs and extensive social networking we’ve discarded how wonderful it is to pick up a pen and just write. Not just the action of it, but the Art of it. Seeing the identity of a persons handwriting,for me, is quite wondrous. You might think I’m crazy but it looks magical to me :). Perhaps that is because we’re only use to seeing Arial and Times New Roman lol. About 6 months ago I got a new book to start writing in; I was struggling. Then I thought to myself, If I take it around with me, I then have a chance to document the little things. 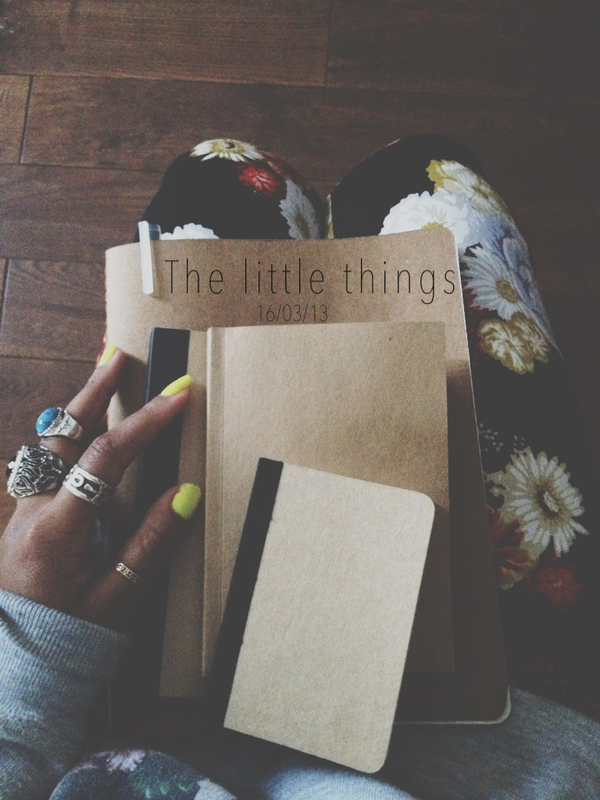 We forget about the little things. 4 books later, I’m just reading over the first book I have completed this morning, just made me realise how much of a memory keeper this is. Thank you. Reading over my teenage life novels really hit home for me. I thought bringing the honesty to the table could perhaps change someones life, as it has mine.